Inflating the balloon with vinegar and baking soda is a classic experiment. Perform this experiments with your friends, and explain to them what is happening? You won’t need to buy anything, all the materials you will find in your kitchen easily. 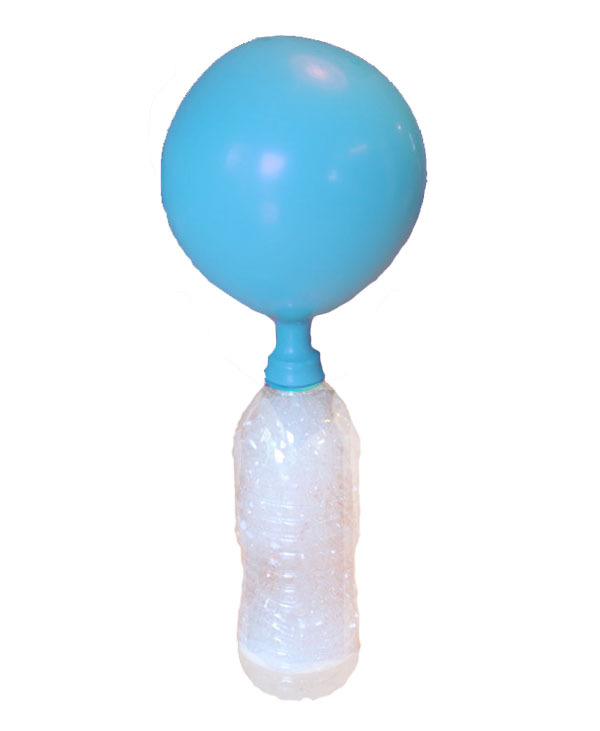 In this experiment, you will learn how the gas (carbon dioxide) produced from chemical reaction inflates the balloon. Pour the half cup of vinegar and one-fourth cup of water in the plastic bottle. Inflate and deflate the balloon with your mouth 2 times to make it lose. Pour 2 spoonful of baking soda into the balloon using a funnel (If you don’t have a funnel, you can make one from paper and scotch tape). 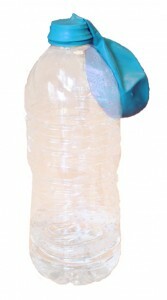 Stretch open the mouth of the balloon, and carefully put it over the neck of the plastic bottle. Let the end of the balloon dangle to prevent the baking soda from falling into the bottle. Your inflating balloon is ready! When you want to inflate the balloon just hold the mouth of balloon tightly on the neck of the bottle. Then, let the baking soda in the balloon to fall in the bottle. Now, observe the inflating balloon and chemical reaction. When the baking soda is added to vinegar, an acid-base reaction takes place. In this reaction, carbon dioxide gas is produced which develops pressure inside the bottle and starts to inflate the balloon. The balloon is being inflated with carbon dioxide gas, so it won’t float in the air. Because carbon dioxide is heavier gas than air. If you want to slow down the reaction, so that balloon inflates slowly. Just, add water to the bottle to dilute the vinegar. Abdul Wahab, "How to Inflate Balloon with Vinegar and Baking Soda," in Science4Fun, April 13, 2019, http://science4fun.info/how-to-inflate-balloon-with-vinegar-and-baking-soda/.